Malaysian Contestant - Rachel Lee in the Upcoming Season of The Apartment: Passion for Design on Sony Channel. The biggest design reality TV series in Asia,The Apartment: Passion for Design returns to Sony Channel for a sizzling sixth season this March. Premiering Thursday, March 22 at 9pm on Sony Channel (unifi TV CH 614), The Apartment raise the bar yet again by featuring 12 talented contestants from various backgrounds who will compete to become the next interior design superstar. The winner will walk away with the biggest prize in the series’ history, the deed to a luxurious UMLand apartment at D’Lagoon, located in Iskandar, Malaysia. 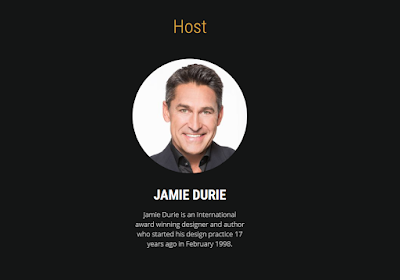 The Apartment: Passion for Design features a judging panel of esteemed celebrity designers including returning international superstar Laurence Llewelyn-Bowen as principal judge, and award-winning designer and author Jamie Durie as returning host and mentor. 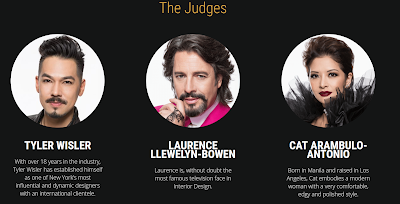 This season also sees the introduction of two new judges, Filipina interior designer and influencer extraordinaire Cat Arambulo and Tyler Wisler, one of New York’s most influential and dynamic designers. “Sony Channel is all about the hottest content that viewers live, breathe and crave and this season of The Apartment is just that - a highly addictive series that invites viewers on a riveting journey of interior design, drama-fueled teamwork and incredible self-discovery. 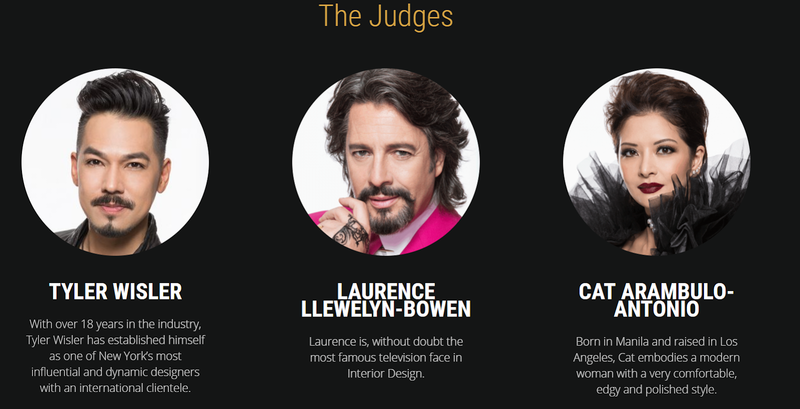 Viewers will be inspired to improve their home with creative yet easy ideas; while getting to know each contestant both on air and behind-the-scenes on our social platforms,” said Virginia Lim, Senior Vice President and Head of Content, Production and Marketing, Sony Pictures Television Networks, Asia. Olga Ivanova – Thailand-based freelance model and actor who’s a self-taught designer. Olga hopes that her experience and eye for design will help her win this season of The Apartment. Shana Wang – TV personality and entrepreneur, Shana is currently living in Houston, Texas where she discovered her passion for design while working on several DIY segments for a local TV show. Stephanie Dods – Fashion buyer and designer currently working in the Philippines, Stephanie draws her inspiration from the fashion industry and the places she’s visited and infuses them into her work. Michael V Piroon – This studio producer and entrepreneur from Thailand brings his expertise from the music industry to The Apartment: Passion for Design. Michael hopes to use this series as a platform to venture into designing great living spaces. Jesy Cruz – Being partially color-blind doesn’t deter Jesy from being a great designer. Already featured in multiple interior design magazines in the Philippines, Jesy wants to challenge himself even further in The Apartment. Aung Naing Linn (Link) – Currently working in Singapore as an interior designer, Linnk has always been passionate about art. Linnk’s ultimate goal is to set a charity to fund children’s education in Myanmar. Rachel Lee – Malaysian make-up artist Rachel is looking forward to being on The Apartment: Passion for Design to reignite her love for interior design. Lisa Marie White – Miss Universe Singapore 2015, Lisa Marie feels that she’s creative enough to take on challenges in The Apartment and she would love to learn new things and meet interesting people. Rocket – Creative director and freelance photographer Rocket is fascinated by the power that architecture and design can have on our health, and he’s embarking on a journey via The Apartment to explore that concept. Elin – A graduate student of Raffles School of Interior Design in Singapore, Elin views herself as a pragmatic person, who is a good team player and a hard worker. Vladimir Musson – No stranger to reality TV, Russian-born Vladimir has appeared on Big Brother and Fit for Fashion and he’s always up for more drama.